Mulatta offers 03 quiet, clean and comfortable rooms. One shared dorm for 6 pax, and two private rooms for a couple with toilet inside and one for 3 people. Two shared bathrooms, living room and an outdoor terrace with fruit trees and hammocks to relax. - All rooms with a fantastic view from the sea. Once a month we hold a big party as you can check in our fan page in FB. Rio de Janeiro is the most visited city in the southern hemisphere and is known for its natural settings, carnival celebrations, samba, Bossa Nova, beaches such as Barra da Tijuca, Copacabana, Ipanema, and Leblon. Some of the most famous landmarks includes the giant statue of Christ the Redeemer ('Cristo Redentor') atop Corcovado mountain, named one of the New Seven Wonders of the World and the Sugarloaf mountain (Pão de Açúcar) with its cable car. Cancellation Policy: 50% refund up until 30 days prior to arrival, except fees. We offer all kinds of tour and have properties partners in Buzios, Ilha Grande and Paraty which are the best side trips. Our employee will be waiting at arrivals with a sign identifying the name of the client. Riding time - about 50 minutes. Cheapest option, equipped with AC, but more time consuming, taking about 1 hour and 30 minutes. Up to the boarding area and go outside where there is a bus stop REAL BUS. Once the bus gets to Avenida Niemeyer, ask the driver to stop at the entrance of the Vidigal Favela. Get off the bus at Vidigal stop, and walk 5 minutes to the property or catch a moto-taxi! Our employee will be waiting at the exit of the bus with a sign identifying the name of the client. Riding time - about 30 minutes. Buses with air conditioning located in front off the station´s exit. Taking about 1 hour average. The buses run from 15 to 15 minutes. Once the bus gets to Avenida Niemeyer, ask the driver to stop at the entrance of the Vidigal Favela. 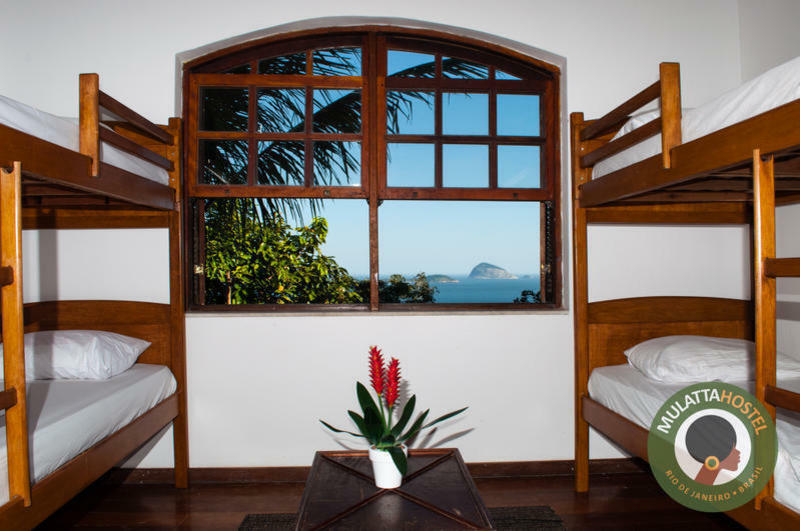 Get off the bus at Vidigal stop, and walk 5 minutes to the property or catch a moto-taxi!